SOUTH HOLLAND, IL– As the South Suburban College (SSC) Nursing Class of 2020 began their journey in August full of excitement and anticipation, the most recent graduates proudly achieved a 100% pass rate on the daunting NCLEX (National Council Licensure Examination) for registered nurses. NCLEX is a standardized exam that each state board of nursing uses to determine whether or not a candidate is prepared for entry-level nursing practice. SSC’s recent graduate success is the culmination of four consecutive years above the annual national average pass rates for an average of 94% since the program reopened in 2013. The SSC Nursing Program has undergone a major transformation over the past five years, from revitalizing curriculum to providing innovative new student support systems and cutting-edge technology. Immediate growth includes hiring two new full-time faculty and a lab supervisor, said Dr. Stokes. The faculty also look forward to the arrival of their newest acquisition—Victoria—a high fidelity birthing simulator. Long-term, the college is working to increase awareness to expand the Nursing student population with an eye toward a state-of-the-art Allied Health & Nursing Center, which is in the planning and development stage for the college’s Main Campus in South Holland. The SSC Nursing Program is approved by the Illinois Department of Professional Regulations (IDFPR) and the college is accredited by the North Central Higher Learning Commission (HLC), both critical components to proper credentialing and certification upon graduation. For more information about enrolling in the SSC Nursing Program at SSC, please call (708) 596-2000, ext. 2260. For information about the SSC Nursing job postings, please visit www.ssc.edu. 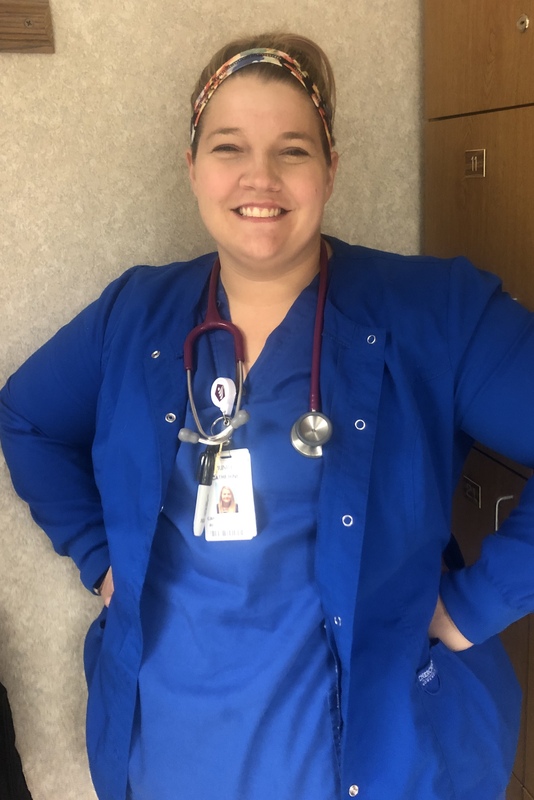 Pictured: South Holland resident Catherine Newport was a part of SSC’s Nursing Class of 2018 that achieved a perfect pass rate on the NCLEX.